Master Suite with Jetted Tub! 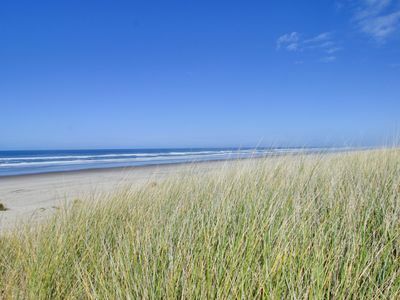 Easy Stroll to the Beach for You and Your Dog! 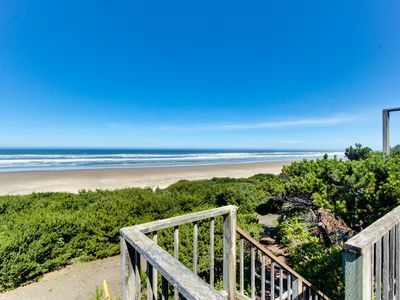 The Serenity on Sunset is located in Bayshore subdivision in Waldport, and is an easy stroll to miles of Beach. A wonderful family friendly home; it has separation of main bedrooms; The master suite with the jetted tub, is on one side, and the guest bedroom on other side with it's own bathroom. 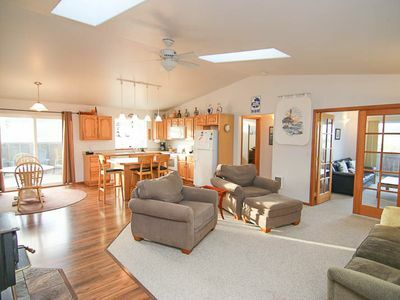 Home has great room, and an island with stools for entertaining. 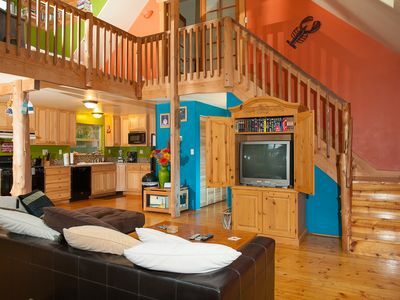 A den with the TV is separated by French doors from the living area. 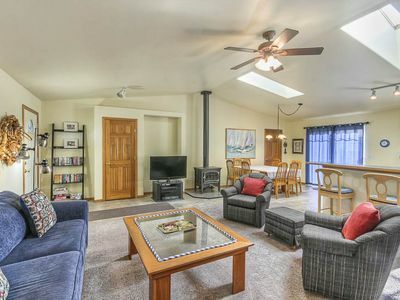 A wood stove in living room can be used to take the chill over off, and add to the cozy evenings at the beach. 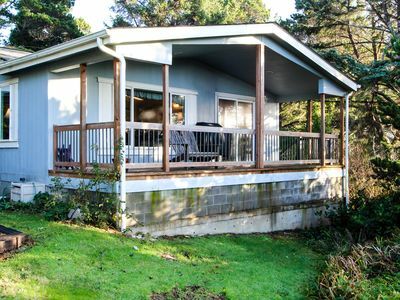 Home has wonderful covered front deck for sitting out and having your morning coffee, or for watching the 4th of July fireworks as they shoot out over the Bay! 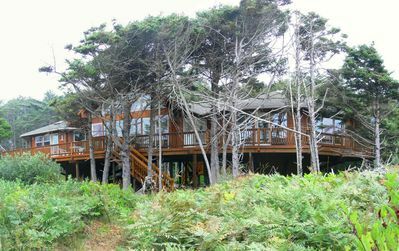 Back deck is off the slider to the dining area, and yet another deck is off the den! The BeachClub offers swimming/tennis/exercise room to guests during Jun 20 to Sept 26 at guest rates: Guest pay $5/per guest per day; $20 per day for family of 5; 6 day pass for family of 5 is $50.. 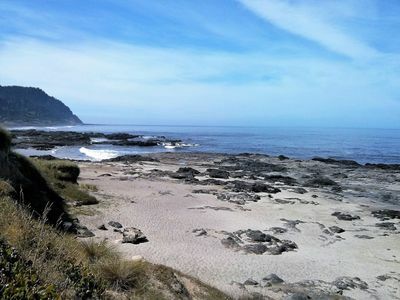 Enjoy many hours of beach combing, smores & bonfires, kite flying, watching the Bay seals....and wonderful times in the surf! This is sure to become a favorite for the family. 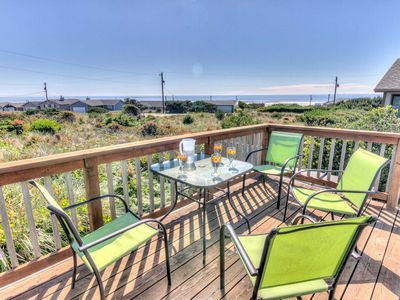 Dog-friendly home w/ bay views, nearby beach & bay access & shared pool, tennis! Spring Discounts! Awesome View! New Windows! Amazing sunsets! 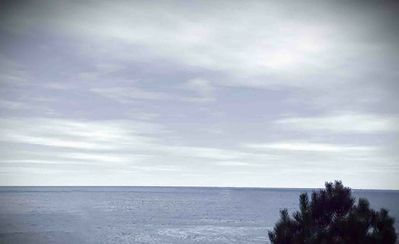 Modern Duplex with an Ocean View - Sleeps up to 12! Free NIght! 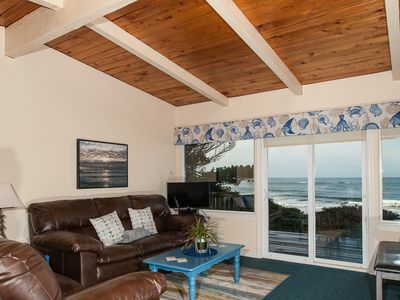 Oceanside Big Stump Beach getaway - dog-friendly, romantic, and cozy! 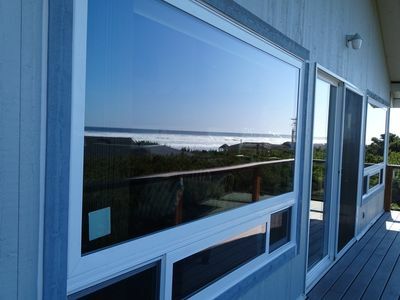 Oceanfront, bay view, comfort & elegance, seasonal pool. Just steps to the beach or town. Ultra clean. Ask about free night - off season. 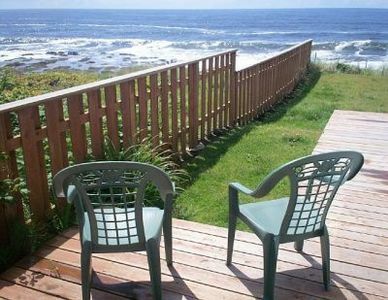 Historic Cottage just steps to the Ocean! FREE NIGHT! 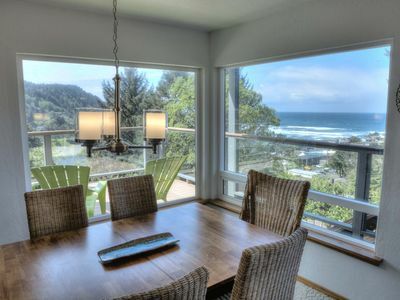 Experience this pet friendly oceanfront couples retreat in Seal rock! 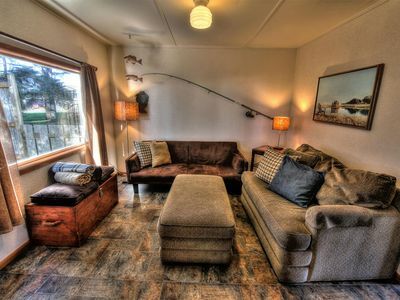 A perfect house for a quiet nature filled getaway with you canine companion! 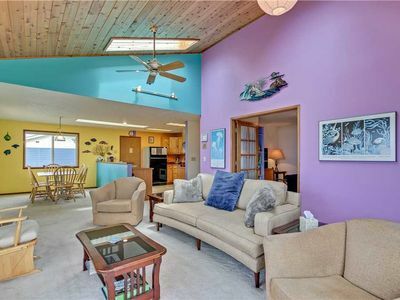 Family-friendly home w/ hot tub & ocean views - walk to the beach, dogs okay! Harmony at the Beach! 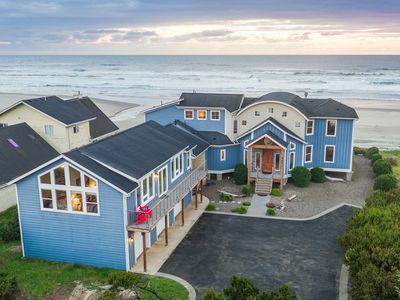 Gorgeous Ocean & Bay Views! Bring your Dog! Hot Tub! Free Night! 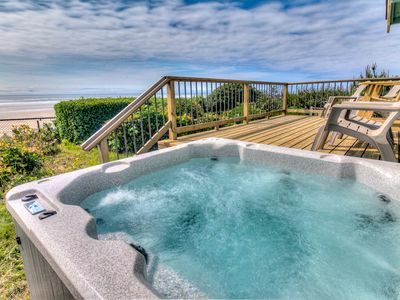 Ocean Front Home, Hot Tub & Miles of Sand to Explore! Free Night! 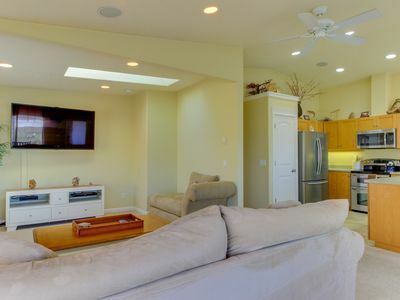 Quiet & Cozy Home Near Sandy Beach! Hot Tub! Free Night! 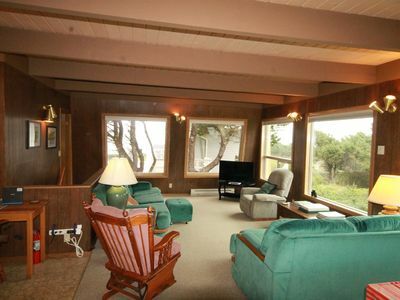 New Home with Great Ocean Views and Wood Stove to Keep You Cozy! 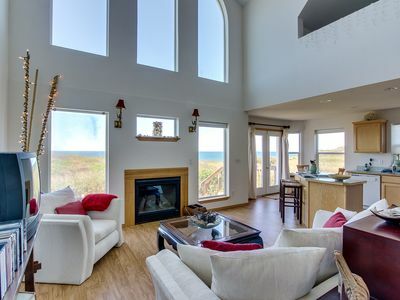 Open Ocean Views from this Great Home with Special Touches!